As Juno cycles around the king of planets, amateur astronomers gain a unique chance to personally contribute to the orbiter’s success and even guide its close-up observations. 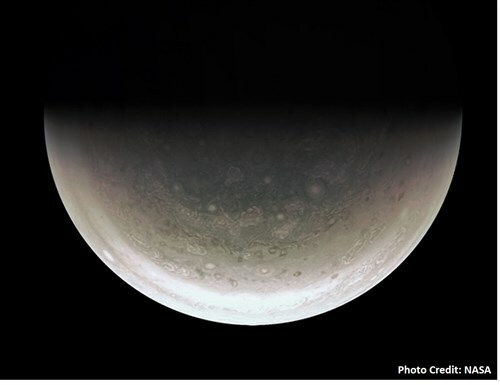 With the addition of a planetary imager and motorized telescope, you can capture valuable Jovian data and send possible targets to JunoCam, a public imager with a relative resolution greater than the Hubble Space Telescope. How, though, can you capture images to support the foremost planetary expedition of the decade? In the early Fall of 2013, a live image of Saturn hovered on my computer screen—the first time I had imaged the ringed world. Unaware of the need to properly focus the webcam, I photographed a flat UFO-like disk. Two years later, a crisp view of Jupiter’s Great Red Spot and its trailing wake slowly danced across the monitor. Before the gas giant had traveled 16 percent of its orbit, I had become proficient in planetary imaging. Before the next Jovian opposition in early April of 2017, you too can craft marvelous images of the planet’s glorious cloud belts and raging storms. Two critical instruments build the foundation of a planetary astrophotography kit: a reliable electronic mount and a sensitive, fast webcam imager. I personally use the Celestron Skyris 618M CCD Camera with a Celestron Nexstar 8SE computerized telescope. Unlike expansive, degree-wide targets like the Andromeda galaxy, planetary disks appear less than one arc-minute in diameter, resulting in the necessity of a computerized telescope of at least six inches to view most prominent features as they steadily race around the ecliptic. Alone, a polished optical system casts alluring portraits onto the eye, but the specifications of a camera determine the depth of a digital depiction. Planetary astrophotographers use high-speed webcam imagers with capabilities of more than a hundred frames per second. Of the endless variety of available brands and sensors, novice photographers chose between two categories: color (RGB) or monochrome (black and white). While this choice may seem simple to beginners—color of course—I recommend investing in a monochrome camera instead. Without additional equipment, these instruments collect pixels with one defined set of wavelengths; although, with an LRGB filter set, monochrome cameras produce true color photographs with three times the color resolution of an RGB sensor. My blog post on monochrome color combining provides an in depth explanation of this process. While normal deep sky cameras take one image every few minutes or hours, planetary webcams, with their incredibly bright targets, record a constant video of up to 120 frames per second. This live format allows photographers to select the best frames without disturbances from the atmosphere and combine hundreds of clear images to craft stunning planetary portraits. Advanced software even identifies specific sections of the planet to “stitch” together the clearest possible images. Mastering these processing steps takes months of practice, but my blog series, Learning Skyris, aids with step-by-step instructions from setting up the telescope to sculpting a final image. 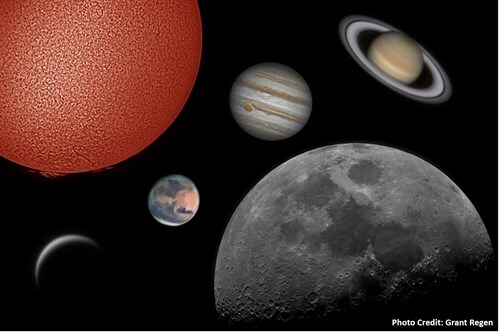 Other than an enjoyable, challenging art form, amateur planetary astrophotography provides an almost constant live view of our solar system for professional researchers. Common backyard setups have discovered storms on Jupiter as well as comet and asteroid impacts. Missions like Juno continue to rely on the careful eyes of thousands of astrophotographers around the world and their constant flow of data. 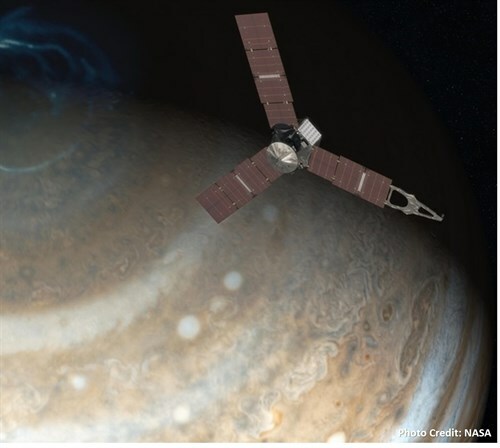 JunoCam, a Kodak camera attached to the spacecraft’s body, specifically relies on the mounds of data produced by amateur astronomers to find regions of interest, even allowing participants to vote between possible targets. The selection process begins in November, so even if you’re just now beginning planetary imaging, you still can vote for your selected areas of the gas giant. All submission, voting, and data collection information is available on the mission's website. With professional observatories already recording phenomenal images of the planet, novice photographers miss the chance to aid in initial target finding, but the backyard astronomy community holds a unique advantage over the scientific realm: its fulltime, dedicated ocean of individual observers. Impact events, which produce bright flares of a few seconds, evade the single shot images of many observatories. Webcams from individual astronomers constantly record for minutes at a time creating a perfect setting to catch quick flashes. Impact detection software like JID search for momentary glints in dozens of videos at a time and alerts users of possible discoveries. Once uncovered, such an observation could alert Juno of an interesting subject never imaged by up-close probes—a dark Jovian scar. As the Earth begins to move back toward Jupiter with April’s opposition approaching, an internal space race between fellow amateur astronomers will start; who will be able to catch the flash of a Jovian impact and change the course of the world’s leading solar system mission, Juno? I will be outside in my backyard watching Jupiter’s storms dance across the pale globe. Where will you be?